Buffet of metal and wood with oversized nailhead trim. 72"L x 19"D x 36"T.
Four wooden doors; 3 adjustable shelves. 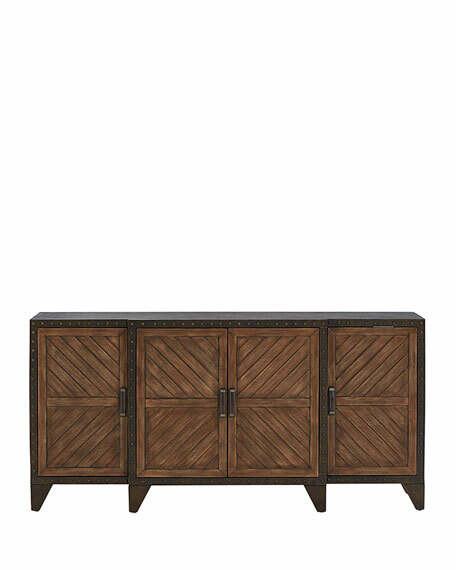 Made of Asian hardwoods and metal with a medium brown finish; back of buffet is painted black. Boxed weight, approximately 183 lbs.